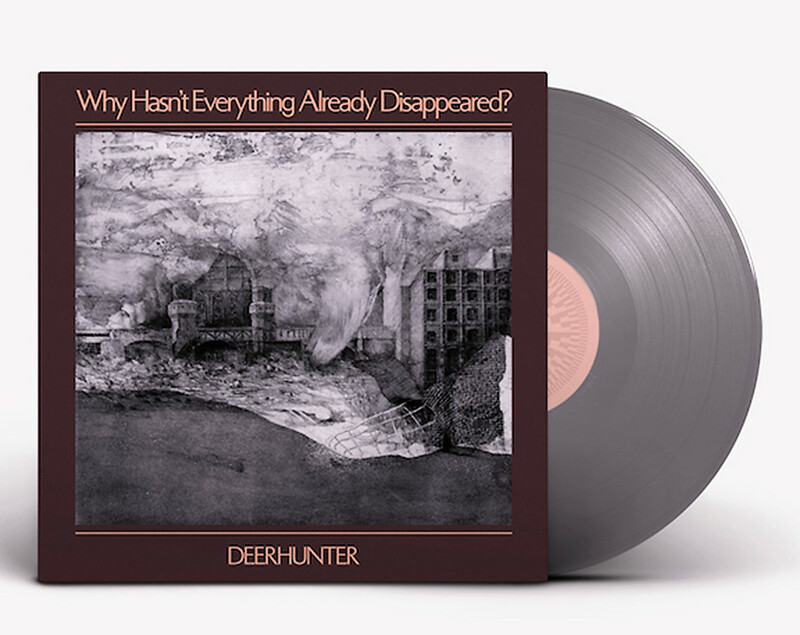 ALBUM REVIEW: How does Deerhunter keep putting out great records? When an artist of any discipline has a consistently solid track record, it is easy to take things for granted. At this point, US band Deerhunter has seven albums under its belt with six of them being positively adored by fans and critics alike, though to different degrees. Two of those six – 2008's Microcastle and 2010's Halcyon Digest – are even considered modern classics of the indie realm, balancing the many elements of indie rock's traditionalist and far-reaching tendencies seamlessly. So it is easy to consider their latest album Why Hasn't Everything Already Disappeared? business as usual. But that would not be fair. Almost two decades removed from its formation, Deerhunter is certainly not the same confrontational beast it once was. The more-outward experimental tendencies are still there, but compartmentalized in a more-distinct fashion, as in last year's Double Dream of Spring limited tape release, which contained the band's more avant-garde, experimental music. The new album still has some amount of experimentation, but for the most part it feels like a more-subdued affair – at least on the surface. Melodically, the band tinkers with the same kind of plush quasi-pop flourishes of Halcyon Digest, only doing so in a less immediate manner. Verses, choruses, breakdowns wash often into each other in a blended manner that requires a few listens to truly “get”. Their strength, as always, is in how organically all the elements – the light, the dark – come together, creating a characteristic uneasiness that is artistically appealing to experience. As such, while it is less direct in its melodies, the compositions still brim with the layered depth of Deerhunter's best tracks. The arrangements feel content with how they develop and mutate, drifting with a seeming casualness that camouflages dark lyrical themes. Most contain acoustic guitar and/or piano, which pads everything down with a deceptive (or ironic?) gleefulness that is close to folk and baroque pop in its underlying quality. “What Happens To People?”, a stand out, steers itself as such within twilight piano lines and lush synth pads. The song glitters with outward merriness while underneath frontman Bradford Cox sings a melancholic query: “What happens to people?/They quit holding on/What happens to people?/Their dreams turn to dark/The rust in your castle/ You're trying to fill”. In “Death in Midsummer”, the harpsichord-adorned opener was apparently inspired by a photo of carnage in St. Petersburg during the Russian revolution. As instruments fall into a noisier place, creating an increasingly chaotic ambience, Cox seethes: “Your friends have died/And their lives, they just fade away”, which transitions into a refrain of “Some worked the hills/Some worked in factories/Worked their lives away/And in time, you will see your own life fade away”, with sorrowful measures hitting mild crescendos as the song evaporates solemnly. This push-and-pull between joy and sorrow, optimism and the morose reveals itself as the record's key element. The initial sense of subtleness, or even underwhelming presentation of the songs (as was felt by certain parts of the fan base in the preceding album, Fading Frontier) eventually turn into something stronger as it becomes darker upon multiple listens. The hop-along jumpiness of “Futurism” leans into being the record's most-immediate moment, but it shares its discontent as Cox sings of “Burning flowers” and “Patient Hell”. The retro synthesizer rings of “Détournement” sustain a classic sci-fi eeriness in between pulsating guitar echoes and Moses Archulleta's cascading percussion almost acts as a hypnotic loop. Atop it all, Cox speaks instead of sings, sending “good morning to Japan” and “hellos” to Europe, America, Russia and Australia, in between surrealist pondering. Instrumentals “Greenpoint Gothic” and “Tarnung” builds themselves with unique percussion that includes the gamelan, providing color to the album's 10 songs. “Tarnung” unfortunately features the only vocal appearance of Locked Pundt, the band's guitarist and secondary songwriter whose dreamy indie pop usually makes at least one appearance on a Deerhunter record. The synth and ambient flourishes of newish member Javier Morales – who handles keyboards and saxophone – is something that adds a lot to each song, promising a whole lot more if he stays on as a band member.